Next stop: eliminating mother-to-child transmissions of Hepatitis B. The announcement was made by the World Health Organisation (WHO) yesterday, 8 October, during the WHO Regional Committee for the Western Pacific session in Manila, Philippines. "This elimination is a remarkable achievement that puts Malaysia at the forefront of the global effort to ensure that no child is born with HIV or congenital syphilis," said UNAIDS regional director for Asia and the Pacific Eamonn Murphy. "A combination of political commitment, stronger systems for health, and timely prevention, diagnosis and treatment is the key to success. All countries should follow Malaysia's example and ensure that every child has an HIV-free start to his or her life." Minister of Health Dr Dzulkefly Ahmad (second from left). 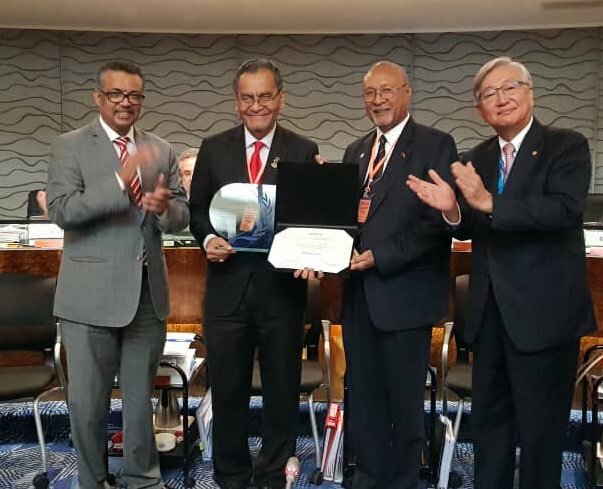 Minister of Health Dr Dzulkefly Ahmad was presented with the certificate of elimination (eMTCT) by WHO Director-General Dr Tedros Adhanom Ghebreyesus and WHO Regional Director for the Western Pacific Dr Shin Young-soo. Malaysia is also the 12th country in the world to received the eMTCT certification. 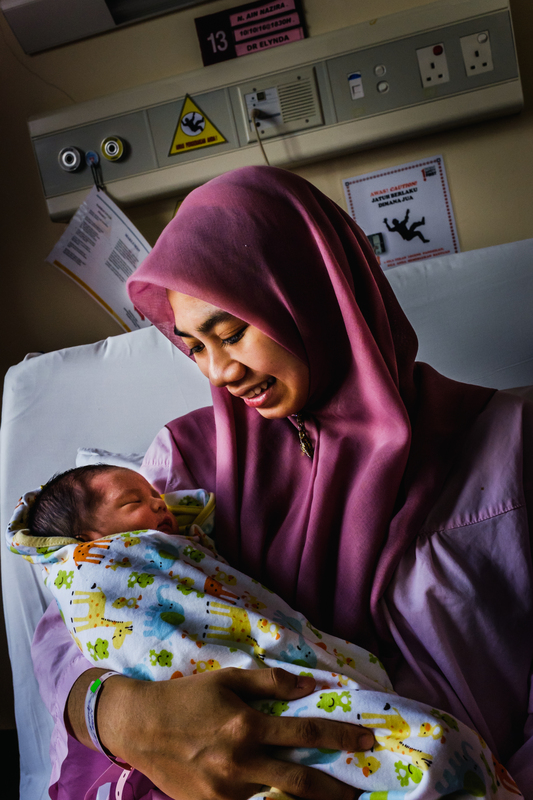 "To combat the problem, the Health Ministry initiated the prevention of mother-to-child transmission (PMTCT) preventive programme as a pioneer project in 1997, which was then expanded nationwide in 1998," said Dr Dzulkefly, reported New Straits Times. As part of the programme, pregnant mothers are given regular tests while HIV-positive mothers and their babies are given continuous treatment. For two years, the government also provides free baby formula to HIV-positive mothers to ensure that the babies are not infected via breastfeeding. "As for syphilis prevention, the government has been conducting universal syphilis testing for pregnant women over the past three decades, with infected mothers and their babies given comprehensive and specific medical care," he added. According to Malay Mail, Dr Dzulkefly plans to introduce pilot programmes of targeted screening for Hepatitis B among pregnant mothers in selected states. It will be rolled out nationwide in stages. "The nation is confident and committed to achieving eMTCT for Hepatitis B after this," he said. WHO defines Hepatitis B as "a potentially life-threatening liver infection caused by the hepatitis B virus (HBV)", which can "cause chronic infection and puts people at high risk of death from cirrhosis and liver cancer". The mall will open on 9 November. "Excessive noise constitutes a criminal offence."